Copper grade from deposits on the sea floor of the Bismarck Sea is 10 times higher than the average copper mine on land. An average copper mine on land has a deposit grade of around 0.6% whereas the Solwara 1 deposit is 8% copper, says Nautilus Minerals Chief Executive Mike Johnson. The Solwara 1 project site is located about 30 kilometres from New Ireland and 50 kilometres from East New Britain provinces. 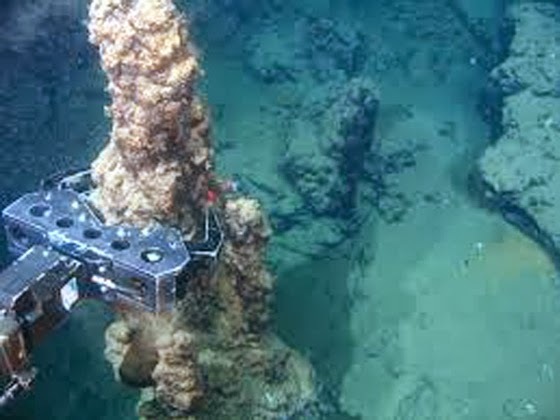 Johnson says the deposits occur in relatively small areas, thus, the damage is not that significant to the sea floor. “There is little fish life in the deep ocean, with no humans living 15,000 metres down there where it is pitch black. There is no social impact as it (Solwara 1) is 30 kilometres off land so no village will be disturbed. Jonathan Lowe, Nautilus vice-president – strategic development and explorations, says Nautilus’ exploration is based on discipline and systematic search approach that is different from the rest. “It takes the equation of lady luck out as it is ever present in explorations. And if the technology does not exist we need to develop them to plug any holes in our exploration approach,” he says. The government has granted a 20-year mine lease for the project to Nautilus Minerals as well as take a 30% stake in the venture. However, the newly established PNG Group against Seabed Experimental Mining (PNGGaSEM) is campaigning strongly against the decision.